The Maitriyana represents the updating of the Future of Buddhism in the here and now, by offering the culmination of the contemplative thought based on the spiritual masters own experience over the last 2600 years. Therefore, the aspirations of this movement contain a profound significance for the apprentices from all spiritual traditions. However, the Purpose (Dharma) of the evolution of the Buddhist Spirituality is based on the same Perennial Unity which was promoted by the ancient Pathway of the Ekayana. Starting from the analytical work with oneself, the help of the existential teachings and the libertarian presence of the Free and Enlightened Beings (Arhats-Bodhisattvas), the Buddhist Ecumenism shows the Pathway not only toward the Buddhism of Future but also toward the Evolution of Humanity. When updating the future of the Analytical-Existential-Libertarian Discourse (Buddha-Dharma-Sangha) in the mystical experience of the present time, the Maitriyana honors the spiritual masters as Xu Yun and Jamyang Khyentse Chökyi Lodrö, who both died in 1959 and that inherited all the lineages of Ch’an and Vajrayana Buddhism respectively. They were living incarnations of Spirituality, a living proof that the Free and Enlightened Being (Arhat-Bodhisattva) is someone who has integrated the mystical teachings within his relationship with the world. Consequently, the Buddhist Ecumenism treats all humanity equally, whereas the Future of Buddhism should not be very different from the teachings of great spiritual masters such as Xu Yun and Jamyang Khyentse Chökyi Lodrö, who inspired an infinite respect for all the meditative traditions while they envisioned that the Buddhist Spirituality should be spread throughout the West. In this way, the Maitriyana is inheritor of the Ch’an movement from Xu Yun and the Rime movement from Jamyang Khyentse Chökyi Lodrö, being a spiritual rebirth that overcomes all kinds of sectarian tendencies in pursuit of the creation of a tradition able to fully know the core of the authentic teachings and practices of all lineages and schools of Spirituality. This cooperation, harmony and openness attitude that characterizes the Buddhist Ecumenism is a dialectical synthesis that paradoxically maintains the purity of all traditions, which coexist and inspire each other within this integrative approach. There is a direct parallelism between the extraordinary wealth of Maitriyana in contemporary culture and the wide variety of schools that the perspective of Ekayana integrated two thousand years ago. In this sense, the utopian vision of the Buddhist Ecumenism shows a model of how to evolve Spirituality in the civilization of today, by offering an absolute respect for the different traditions of the past and simultaneously using creative resources to establish new branches of the Analytical-Existential-Libertarian Discourse (Buddha-Dharma-Sangha) in the world, but without confusing or inappropriately mixing the traditions of the past. Such as the ancient prophecies known by Xu Yun and Jamyang Khyentse Chökyi Lodrö about that the Buddhist Spirituality would spread throughout the West, the Maitriyana represents the central point from that extension whose magnitude has caused a great impact on the lives of the entire humanity. The Buddhist Ecumenism -along with Psychoanalysis, Existentialism and Socialism, is just one of those different aspects that have emerged as a product of the influence of Spirituality on the West. This obviously implies a scientific, ecological and pacifist attitude toward the world. The different spiritual lineages that have been internationally established under the inspiring banner of the Engaged Buddhism they now have the opportunity to continue to evolve through the global guide of Maitriyana, which is the most contemporary way to present the Analytical-Existential-Libertarian Discourse (Buddha-Dharma-Sangha). The teaching of the Buddhist Ecumenism is an attitude that seeks the spiritual conversion of humanity, openly transmitting the Path to the evolution and Salvation of all beings, regardless of their religious faith. Because the essential vision of the Maitriyana is a practice and a simple lifestyle which is simultaneously profound, it nurtures the understanding of any follower of the contemplative Path. This obviously requires that the individual has a sincere willingness to thoroughly study the teachings of any tradition. Thus the Buddhist Ecumenism could not occur without having inherited the pure and living lineage of the One Vehicle (Ekayana), which converts the Spiritual Path of the Maitriyana into a Full Buddhism (Purna). The Analytical-Existential-Libertarian Discourse (Buddha-Dharma-Sangha) of the Free and Enlightened Being (Arhat-Bodhisattva) is then a genuine action plan in order that the humanity of future can survive and spiritually evolve. Through Buddhist Ecumenism, the Spirituality finds the way of doing a full contribution to the transformation of world society, avoiding being absorbed and neutralizing by the capitalist civilization. When detaching from the possibility of being reduced to another tool of the consumerist society, which is much easier to dominate and lacking the revolutionary spirit, the Maitriyana refuses becoming an interesting branch of psychology or an offshoot of the New Age. The Way of Buddhist Ecumenism requires a spiritual discipline that is never acceptable to the tastes and fashions of the capitalist civilization, expressing the foundational teachings of Siddhartha Gautama without sell them as a product of commercial consumption. Starting from the basis of self analysis and the existential transformation of the life vision, the apprentice is boosted by the libertarian meditation (Kaihou Zen) towards the construction of a new world. This is the long term result of the Pathway of Maitriyana, putting into practice a compassionate wisdom (karuna-prajna) able to save humanity. Thus, the practical aspect of the teachings of the spiritual masters is an authentic human evolution. The most correct way to present the Analytical Existential Libertarian Discourse (Buddha-Dharma-Sangha), as regards the future of the world, is to delve into the understanding of the spiritual experience of the Awakening (Bodhi), by presenting the essence of the teachings without the cultural illusions which are often in certain groups. This implies a commitment to the vanguard of Buddhist Ecumenism, whose countercultural force provides the Cure (Nirvana) of the neurotic mind. The Maitriyana assumes the challenge of adapting the Spirituality without losing authenticity, by making changes which simultaneously are consonant with the true Purpose (Dharma) of past traditions. During the last 2600 years the Free and Enlightened Beings (Arhats-Bodhisattvas) have inspired the full integration of the contemplative teachings in the social environment, by finding the right balance between materialism and metaphysics. The Buddhist Ecumenism maintains the integrity of the libertarian teachings of the spiritual masters, and it simultaneously channels the foundation of the contemporary culture. The libertarian meditation (Kaihou Zen) has a deep meaning indicating a great comprehension and understanding about the necessary actions to create an Evolution of Spirituality without losing its perennial essence. But in order to lead this transformation, it is needed a comprehension that is clear and capable to translate the teachings of the Free and Enlightened Beings (Arhats-Bodhisattvas) in a subtle and profound way, suppressing the cultural superficiality in pursuit of an integral transmission of the mystical teaching. Approaching to the Analytical-Existential-Libertarian Discourse (Buddha-Dharma-Sangha) implies overcoming the cultural presumptions of both East and West, since there are traditional aspects due to geography and to the age of a movement and they must be updated in the contemporary world. Actually, for Maitriyana, it should only be transmitted a pure compassionate wisdom (karuna-prajña) and a direct Path to experience Truth in the here and now. At the same time it preserves the ancient tradition of Siddhartha Gautama, the Buddhist Ecumenism finds an appropriate way to convey Spirituality in the present world, being the result of a constant learning process of the spiritual masters, of teachings and of the apprentices themselves. These three pillars are nothing less than the Analytic-Existential-Libertarian Discourse (Buddha-Dharma-Sangha). When a subject is fully and truly One with the Purpose (Dharma), through the integrative study and the contemplative practice, it comes a peak comprehension (Satori) which converts the apprentice into a vessel of Spirituality. This is the Vehicle of wisdom of discernment which shall grow in the world so that humanity can evolve and have an alternative future to that of destruction, by doing adaptations that are naturally appropriate from the guide of the Free and Enlightened Being (Arhat-Bodhisattva). Thus, this complete knowledge of spiritual teachings is the Path to Salvation, which shows that the Buddhism of the Future is the expanding of the limits of comprehension, simultaneously providing plenitude, wisdom and skillful means to all beings. The Maitriyana draws a defiant direction, since it is a Superior and Middle Way that reconciles traditional criteria and the current needs, by being a complex task and with wide-reaching consequences. Therefore, the spiritual master faces this Revolutionary Pathway by finding a proper balance between the creative daring and the sober caution. At the time of making an important change in the world, the Buddhist Ecumenism consults the correct understanding of the sages to teach the true path to the Evanescence (Nirvana) of the evils of the world. In this sense, to fulfill this Supreme Purpose (Dharma), the Maitriyana provides transcendental importance to the analytical training, the existential teaching and the libertarian mutual support (Buddha-Dharma-Sangha). The Buddhist Ecumenism is presented as a movement able to spiritualize both West and East, considering that the Spirituality of Siddhartha Gautama is neither the monopoly of any Asian group nor a property of anyone, thus belonging to any human being who has a true wisdom. The Maitriyana is and will be the bearer of the peak knowledge (Satori) of all spiritual traditions, so it does not require authorization to transmit a Cutting-edge formation of a very high standard. The practitioners of libertarian meditation (Kaihou Zen) are trained in psychological and philosophical teachings of Buddhist Spirituality, practicing a political way to perform the Truth with consistency, calm and stability. The Buddhist Ecumenism is then a continuous transition of the original message of the Free and Enlightened Being (Arhat-Bodhisattva) in his quest for turning the world into a special environment for Spirituality. From the point of view of the Maitriyana tradition, the analytical-existential-libertarian training (Buddha-Dharma-Sangha) is adapted to the desires of the individual, because perhaps this one wants to reach any of three possibilities: an apprentice, a teacher or spiritual master. However, in all the three cases a solid education in theory and contemplative practice is necessary. There are principal teachings that must be established in the heart-mind of the subject, such as developing the pure perception, cultivating compassionate wisdom (karuna-prajña) and not causing harm to our neighbor. The basis of this process is training in libertarian meditation (Kaihou Zen) and in the understanding of the nature of mind and of Cosmos. These foundations serve as constant support for the one who follows a spiritual Path of study and practice. The Buddhism of Future is the most appropriate spiritual approach because it is an Original and Supreme Vehicle (Saijojo-Dzogchen) in which the Free and Enlightened Being (Arhat-Bodhisattva) applies the contemplative training to the daily experience of the apprentice. Transmitting the teachings of Buddhist Ecumenism is a huge responsibility requiring that the individual examines himself at all times in order to be able to have the quality of pure motivation in the spiritual transmission. This pure motivation is the ideal of the Awakened Being (Buddha). The key quality that the spiritual master seeks in an apprentice for the continuity of the spiritual lineage is that this one be a genuine and reliable individual and who has a character sublimated by the libertarian meditation (Kaihou Zen), having the awakened mind (bodhicitta) as the main motivation. The Free and Enlightened Being (Arhat-Bodhisattva) warns about too many human beings have spirituality only in their words, by considering themselves as owners of the spiritual instead of practicing every day to keep learning to overcome the negative aspect of existence. A spiritual master, on the other hand, must be fully delivered to the Analytical-Existential-Libertarian Discourse (Buddha-Dharma-Sangha), avoiding to fail to the Purpose (Dharma) by not falling into the limiting projects of the Ego. A vitally important task of Maitriyana is simultaneously maintaining the integrity and the evolution of the spiritual teaching of study and practice (Shedrup kyi Tenpa). The Free and Enlightened Being (Arhat-Bodhisattva) is concerned about the apprentices who study and practice contemplation in a fragmentary and incomplete way, so that the Buddhist Ecumenism proposes a Complete Path (Purnayana) which follows the main essential spiritual teachings, being intimately linked to the analytical practice, the existential study and the libertarian practice. The Maitriyana grants importance to the metapsychological research, to the metaphilosophical training and to the metapolitical development. From this point of view, the Buddhist Ecumenism needs the discipline of the mind and the study of the Real to avoid being a mere academic activity and thus be able to teach Spirituality to all humanity. However, the Maitriyana generates amazing scholars who are profoundly inserted into the experience of the libertarian meditation (Kaihou Zen), by studying and practicing a compassionate wisdom (karuna-prajña) capable of committing to the Salvation of the world. Precisely, the Buddhism of Future is based on the revolutionary teachings of the Awakened and Savior Being (Buddha-Christ), by promoting a society based on the discernment which the spiritual counterculture provides. The Buddhist Ecumenism is an authentic Spirituality that glimpses the fundamental importance of a Way toward the evolution of humanity. In order to reach this future it is necessary cultivating a deep appreciation of the analytical-existential teachings and what they offer and involve in a libertarian way, producing the true integration of the teachings within society. The Maitriyana is then a form of transformation of mind, ideas and world, by routing both the subject and the peoples toward the Awakening (Bodhi). This implies that the contemplative teachings are metatherapeutic, by containing answers which are directed to the heart of all peoples. The teachings of the Buddhist Ecumenism help the apprentice to overcome the real difficulties of life, inspiring him to practice a Spiritual Path of peak comprehension (Satori) of oneself and of compassionate wisdom (karuna-prajña) towards others. The libertarian commune (Sangha) is a place where the individual can dive deeply into the study and practice of the mystical teachings, exploring the meaning of his existence in silent analytical reflection in order to achieve self-realization, to advance his knowledge of life and clearly perceive how it can be thrown light and freedom upon all the dark corners of the world. Touchingly changing his own way of perceiving, the apprentice acquires a new ability to overcome the obstacles and challenges posed by the society. When the subject begins to clearly perceive the Real, unmasking the illusions of Ego, he takes the opportunity to change which life provides and he implements an effective method to vanish the neurotic frustration and the materialistic selfishness. By becoming aware of being responsible for his own mind, the apprentice undertakes to bring happiness and plenitude to the world, by renouncing authentically to the veils of the mundane illusion. In the deep and inspiring libertarian meditation (Kaihou Zen), there are experientially found numerous aspects of the written teachings, such as the right reflection, the compassionate love and the visualization of a better world, helping to exercise a decisive effect on the life of the whole humanity. The decision to bring happiness to the peoples of the world by leaving behind the past models, converts the Maitriyana into the most extraordinary movement of history. In the contemplative practice the apprentices can cut off their attachments to mundanity and to the repetition of suffering by vanishing the illusions of the ego. By skillfully and perseveringly applying the teachings of the spiritual master, the subject can face any kind of problems, feeling the inspiring and healing force of the True Love that is present in the teachings of the great Free and Enlightened Beings (Arhats-Bodhisattvas). The Buddhist Ecumenism is based on this inexhaustible treasure which is the Compassionate Love, whose energy is able to liberate the human being from Alienation. In this sense, the integration and reconciliation (Maitri) is something transcendental in order that the teaching and the mystical practice produce their full impact on the world by strengthening the Analytical-Existential-Libertarian Discourse (Buddha-Dharma-Sangha) for the future, spiritually evolving and simultaneously saving humanity through the Way of the Maitriyana. The spiritual master examines in detail how to help the apprentice in the different stages of the Path of Liberation, guiding him in order that his mind returns to the Purpose (Dharma) and it progresses throughout the existence, and by clarifying all his confusions in order that his compassionate wisdom (karuna-prajña) emerges in every moment of the daily life. Frequently, the individual passively expects that the Purpose (Dharma) goes to him, so that the apprentice must be active in his relationship with the teachings, by putting them into action again and again until a time comes when wisdom becomes something completely natural. In this way the practice of libertarian meditation (Kaihou Zen) unifies what the subject is with that to which he spiritually aspires. The revolutionary contemplation (kakumei Zen) acts on the apprentice as an impulse toward transformation and evolution, liberating the individual from mental and social illusions by means of a contact with the Truth. Thus, the Free and Enlightened Being (Arhat-Bodhisattva) exercises a full impact on the world, conveying a peak comprehension (satori) able to self-realize and save countless beings. Only through Buddhist Ecumenism humanity can banishing the old consumer habits, trying to experiencing, caring and applying the spiritual teachings. In a sense, any process of Cure (Nirvana) of the subject is a commitment to himself, to the teachings and to the neighbor. These are the three jewels of the Analytical Existential Libertarian Discourse (Buddha-Dharma-Sangha). In fact, the apprentice has a responsibility toward the teachings of the spiritual master: remember them, implement them and maintain them with purity. Thus, the discipline of the libertarian meditation (Kaihou Zen) becomes a revolutionary training for the mind, the ideas and the world, vanishing selfishness, dualism and materialism. The contemplative practice does not allow the subject to be infiltrated and dragged by those primitive values​​, so it is evident that the Free and Enlightened Being (Arhat-Bodhisattva) makes something of great importance for the future of humanity. For the Maitriyana, the cultures of East and West hinder the Liberation of human being, while the Spirituality impels it. In Buddhist Ecumenism there is a spiritual counterculture organization that encourages the spiritual practice. Consequently, to help humanity achieve Salvation as well as spiritually evolve, the Maitriyana owns a vigorous effort to improve a lifestyle with a profound sense of Purpose (Dharma). Thus, the integration and reconciliation (Maitri) is the very future of practice and spiritual teaching, by introducing an appropriate type of actions tending to ethically solve the social and political problems of everyday life. Therefore, for Buddhist Ecumenism –or Buddhism of Future, a factor of growing importance is the mutual support provided by the libertarian commune (Sangha), which lends an authentic form of communication based on fraternity and Spiritual Love by being practices that have a direct positive effect on the physical and emotional health of the apprentice, by healing and protecting the minds of the group members. The spiritual force of the libertarian commune (Sangha) is particularly important in the Maitriyana where there is a counterculture that supports the ethical values ​​of Purpose (Dharma). The spiritual master teaches that the pure friendship and True Love help the individual to overcome all kind of conflict and adverse circumstances, liberating the mind from all sorts of negative emotions which amplify the problems disproportionately. The teachings of the Free and Enlightened Being (Arhat-Bodhisattva) adequately guide and routed to the apprentice, skillfully and sensibly reminding him the Purpose (Dharma) of his Way of life. Thus, it is encouraging that practitioners can share with each other their experiences of libertarian meditation (Kaihou Zen). The essence of the Analytical Existential Libertarian Discourse (Buddha-Dharma-Sangha) is related to the individual and social transformation, considering that Buddhism of Future will be led not only by great institutions but by great human beings that embody and convey the Purpose (Dharma). The spiritual master is precisely that humanity of the future in the here and now, teaching an inspiring way to find the inside and outside environment to practice and self-realize the innermost spiritual essence in the contemporary world. The Buddhist Ecumenism seeks to create environments for humanity to spiritually evolve, highlighting the important role of the libertarian socialism in the future of the world. That spiritual future of the human being is the Maitriyana or Buddhism of Future, which promotes the creation of libertarian communities (Sanghas) both in rural areas and cities so that human beings everywhere can practice and learn Spirituality. The environment created by the Buddhist Ecumenism is a real support for the transmission of the authentic teachings, so it is a Transcendental Middle Way between the monastic life and the lay life. The Maitriyana develops a libertarian commune (Sangha) of practitioners, and not from monks or followers. According to Free and Enlightened Being (Arhat-Bodhisattva) each individual should practice, study and work in the using of the spiritual teachings. This is to be an apprentice. In order to experiencing or advancing the Buddhism of Future on the present experience, it is important to seek that the different traditions have openness toward the Analytical Existential Libertarian Discourse (Buddha-Dharma-Sangha), by maintaining the purity of lineage through the skillful means of patience, comprehension and compassionate wisdom (karuna-prajña) that characterizes the study and practice with a spiritual master. This helps valuing, integrating and applying the spiritual teachings in society. The Buddhist Ecumenism considers that each spiritual lineage should perform a meaningful Reconciliation (Maitri), giving priority to an integral, traditional and progressive education, which renews the practice and writings by means of the creation of cutting-edge contemplative Universities, which are clearly aimed to the spiritual evolution of human being. This is due that the humanity of future is related to the accessibility of the spiritual teachings of the Analytical Existential Libertarian Discourse (Buddha-Dharma-Sangha). Ergo, it is clear that the creativity and the pragmatic sense of Maitriyana make the Spirituality much more accessible for the peoples around the world. In the capitalist civilization there is a great need for spiritual vision, so that the Buddhist Ecumenism plays an important function in satisfying that desire for self-fulfillment, by building a spiritual and communist counterculture capable of releasing millions of people from alienation both in the West and in the East. The Free and Enlightened Being (Arhat-Bodhisattva) states that a new mode of thinking and a responsible way of living are necessary conditions for the Salvation and evolution of human being. Instead, if the metaphysical beliefs and materialistic values ​​are preserved, the mind continues sick with selfishness, dualism and consumerism. With its compassionate wisdom (karuna-prajña), with the peak knowledge (Satori) of inter-existence and with its radical perspective on society, the Maitriyana offers a new way of understanding the Analytical Existential Libertarian Discourse (Buddha-Dharma-Sangha), by addressing the problems of the contemporary world directly while it embodies and leads a Way towards the Buddhic future of humanity. The spiritual heart of Buddhist Ecumenism is a revolutionary contribution to the contemporary world, by exploring the spiritual dimension of Awakening (Bodhi) of society with a peak comprehension (Satori). Therefore, the tradition of Maitriyana is effective in the West and East, by perfectly incarnating the compassionate wisdom (karuna-prajña) of the great spiritual masters. The ancient search for the Cure (Nirvana) of the whole society is rooted in the libertarian teachings of Siddhartha Gautama, who provided central importance to the Sublimation (Nirodh) of mind, the overcoming of dualism and the evanescence of materialism. This involves the Evanescence (Nirvana) of greed, hatred and ignorance, working both in the Interior happiness and the exterior welfare. Thus, the Buddhist Ecumenism favors the healing of mental, ideological and social disruptions, by promoting good health, serenity and compassion in every moment of life. Precisely, the whole impulse of the contemplative practice consists of dispelling the harmful mental states and cultivating the healthiest, transforming the entire existence of the subject. The Maitriyana approach for the transformation of society initiates by working on the attitude of the apprentice toward life, using an analytical existential practice in order to vanish the illusions of Ego. Only after overcoming the inner unhappiness produced by the Ego is when the materialistic disease of society can be evaporated, guiding humanity to happiness and Liberty. The libertarian meditation (Kaihou Zen) is the training in the practice of kindness and compassionate wisdom (karuna-prajña), which is the most skilled remedy to eliminate egoism, dualism and capitalism. 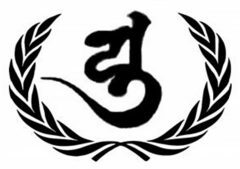 The practice of Buddhist Ecumenism is then altruism and Spiritual Love, transmitting the values ​​of pacifism, communism, education and ecology in order to transform humanity and heal the Earth (Gaia) from the capitalist civilization cancer. The contemplative practice reduces egoism while intensifying the sense of interexistence of the individual with his neighbor and with the Cosmos around him. Consequently, the Maitriyana is a profoundly metatherapeutic Path, by helping to occur both the Awakening (Bodhi) of the inner Self and the Cure (Nirvana) of the problems of the outer world. The heart of the libertarian meditation (Kaihou Zen) is then what Nyoshul Khen Rinpoche named rest in Natural Great Peace. By the contemplative practice of dwelling in tranquility, the apprentice is able to live a style of profound peace both interior and exterior, confronting alienation and by establishing a Reconciliation (Maitri) with all that exists. This process is capable of disassembling the power of fragmentation, negativity, aggression and tension within society, by appeasing the oppressed who suffer the evils from materialism and metaphysics. In this way the Buddhist Ecumenism, by revealing the inherent spiritual nature of human being is a true inner and outer disassembly. From this state of libertarian meditation (Kaihou Zen) of dwelling in serenity, a higher and amplified state of consciousness (H-ASC) happens, which dissolves egoism, dualism and consumerism, by liberating humanity from the dominion of capitalist civilization. The contemplative practice opens a space for the transformation of the inner and outer world. As this Awakening (Bodhi) is gradually deepened, it leads both the subject and society to the experience of the Buddhic nature that is intrinsic to mind. This is often revealed in the psychological level as the True Self, and as transcendence in a philosophical level, while at the political level it is clearly the occurring of libertarian communism, illuminating the world as a radiant Sun in a clear sky. The Maitriyana, therefore, is not only the future of the world or Buddhism of the Future, but also it can be considered as the natural state of humanity. After dissolving the false identity of the Ego and the illusory vision of dualism, the apprentice rests calmly and vigorously in the absolutely natural state of compassionate wisdom (karuna-prajña). Therefore, the Buddhist Ecumenism provides an absolute confidence and an unimaginable wellbeing for anyone who experiences this Path. The oral or written instructions of the Free and Enlightened Beings (Arhats-Bodhisattvas) of the past resonate the echoes of the Maitriyana or Buddhism of Future, which is a powerful and Reconciliatory Spirituality: the tranquility of libertarian meditation (Kaihou Zen) allows glimpsing that the spiritual nature of human being is peace, equality, knowledge and ecological well-being. Although the capitalist civilization has concealed this fact, behaving like a cancer in the body of the Earth (Gaia), the Buddhist Ecumenism is a way of recovering the true lost nature, revealing that it is possible to purify and transform the individual and the society. In this sense, the Cure (Nirvana) is the supreme healing of the mind and the world. The Maitriyana introduces the Buddhism of the Future in the present, clearly exposing in the here and now the Path toward Salvation and spiritual Evolution. The Buddhist Ecumenism, as a healing practice of society, adopts a metatherapeutic approach of three levels: prevention through the contemplative practice; antidote through the ethics of Detachment; transformation through the Awakening (Bodhi). This corresponds respectively to the libertarian meditation (Kaihou Zen), the compassionate wisdom (karuna-prajña) and the reconciliation (Maitri), these three being effective methods in combating the cancers of egoism, dualism and capitalism. The authentic power and force of the lineage of Maitriyana or Buddhism of the Future is clearly seen in the impact that spiritual masters and their apprentices produce on the world, whose presence itself has a healing quality for the whole society. Thanks to the Free and Enlightened Being (Arhat-Bodhisattva) the Analytical-Existential-Libertarian Discourse (Buddha-Dharma-Sangha) can be preserved, prospering and evolving throughout the planet. The Buddhist Ecumenism provides a stimulating opportunity in order that all peoples attain Liberty. The holistic focus of the Maitriyana has a great potential for the Cure (Nirvana) of mental and social illnesses, being an astounding array of healing methods that explore how to reach to Salvation and spiritual Evolution of the human being. However, in order that the Buddhist socialist tradition is more effective at the time of attending the needs of peoples, such as the eradication of war, poverty, ignorance and contamination, it is essential a greater understanding and communication between the spiritual traditions, collaborating closely to develop an integral commitment that may benefit humanity for centuries. Once this basic condition is met, the Buddhist Ecumenism will be able to take its rightful place as a universal system of healing and Awakening (Bodhi), offering a supreme spiritual guide in a world beset by superficiality and by the physical, psychological and social suffering. In the teachings of the Awakened Being (Buddha) it is said that there are two paths in the face of the base of the original spiritual nature: one is its recognition and consequent Cure (Nirvana) of humanity; the other is the unconsciousness and the consequent self-destruction of humanity. Only by overcoming the three false visions of individualism, separatism and consumerism, the world can achieve the global Awakening (Bodhi). The contemplative practice serves justly to eliminate those false visions, generating serenity, peak knowledge (Satori) and compassionate wisdom (karuna-prajña). This is the powerful guidance of the teachings of Maitriyana or Buddhism of Future, which is the most valuable opportunity ever known to reach the Ascension of the human being. Although this is very difficult, the opportunity for transformation is present in the here and now. The Truth of existence is always available, being only necessary to have the will to vanish the habitual patterns of thought and behavior. The Spiritual Path of Buddhist Ecumenism transverses the plot of illusions of capitalism and initiates a new civilization process capable of saving the world through the radical pacifism, human rights communism, spiritual education and ecological harmony, four values which are catalysts for the spiritual Salvation and evolution of human being. This implies purify the society from all the capitalist values ​​such as greed, hatred and ignorance, at the same time it is essential that the revolutionary subject has a deep faith in the Path of Cure (Nirvana), overcoming with perseverance any obstacle that occurs to be delivered to the higher and amplified state of consciousness (H-ASC) of the authentic self-realization and liberty offered by Spirituality. Thus, when the functioning of the libertarian meditation (Kaihou Zen) is appreciated, it is evident that extraordinary changes do not occur, but a calm and natural patience in order that the human being can be fully himself. The dynamics of the Maitriyana is to nurture the unconcealment of True Self, nourish the spiritual nature and help others, facing the many challenges that the survival of humanity entails. This involves a process of self-understanding and inspiration of others, working with a practice and an integrating teaching that evokes the implementation of the goodness in life. In the Way of Buddhist Ecumenism it is necessary to have a solid analytical-existential basis to transform the world through the peak knowledge (Satori). The more the apprentice practices the revolutionary contemplation (kakumeizen), the more compassionate-wisdom (karuna-prajña) he has in order to be able to recognize himself in the neighbor. As from XXI century, the Maitriyana began to reveal a cycle of teachings and practices which synthesizes the essence of the great spiritual masters of the last 2600 years. In the center of these revelations there is a revealing instruction to convert the world into the spiritual system. The root of all the defects of capitalist civilization is greed, hatred and ignorance, so that when the healing of these three diseases is produced, the horizon of humanity is clarified as Liberty. This obviously implies the sudden understanding about the libertarian socialist civilization is the authentic way that humanity has to free itself from the vicious circles of materialism. The Buddhist Ecumenism consists then in maintaining alive this understanding that is capable of recognizing the illusions and achieving the Awakening (Bodhi) of humanity. The Maitriyana or Buddhism of Future is neatly a worldwide liberation movement which reveals the mystery of how to integrate Spirituality with the daily life to all humanity. The Supremely Primordial Path (Saijojo Dzogchen) teaches to reconcile everything in the simple and natural state of the libertarian meditation (Kaihou Zen). This allows perceiving things as they are and act according to this event of the Truth. The same way that the contemplative practice is a return of the individual to himself, the Buddhist Ecumenism is a dialectical return to the primitive communism of the past, revealing the true spiritual nature of human being. The Maitriyana or Buddhism of Future then is the decisive point in the history of humanity, by collecting and protecting all the peak knowledge (Satori) not only in order that it does not fade against the established Power of metaphysics and materialism, but also to inspire the generations to come through a revolutionary Spiritual Path. This implies for the apprentice not to get stuck in old habits and repetitive patterns, by following the Analytical Existential Libertarian Discourse (Buddha-Dharma-Sangha) to take the next evolutionary step of the human race, both in the level of consciousness and in the culture and society. According to the Free and Enlightened Being (Arhat-Bodhisattva), the only solution to world problems is the ethics of Detachment, exposing the individual as pure compassionate wisdom (karuna-prajña). The Cure (Nirvana), in this sense, is a genuine progress although it does not represent a perfect situation because the one who has let go his attachment and has transformed his mind he still must continue to face the world problems. Therefore, the Buddhist Ecumenism does not stop at the inner change and it seeks to liberate all beings, helping them to live in peace, justice, wisdom and harmony. This alternative is a blessing that offers the opportunity to flourish without egoism, dualism and capitalism, so that a human being can gradually become truly himself. However, people must overcome their resistance to change. This is where the libertarian meditation (Kaihou Zen) is revealed as the most powerful and effective practice, since it can inspire humanity to become aware that Liberty is an intrinsic natural condition and that it is only necessary the act of letting go. Thus any revolution is much easier because the apprentice is more patient with others. Upon discovering the true and indestructible security provided by contemplative practice, the subject becomes brave, whatever it is he has to face. The fear, uncertainty or doubt about whether the world can be saved, are something that pushes the spiritual master toward new knowledge, because there is a very great confidence that it is possible to cut the patterns of Ego through the spiritual vision. The Purpose (Dharma) of libertarian meditation (Kaihou Zen) is to provide an analytical existential framework which supports the revolutionary practice of the apprentice, being a contemplative framework that recreates an inspiring atmosphere for all humanity. By understanding the nature of mind and Cosmos, the supreme duty of the Free and Enlightened Being (Arhat-Bodhisattva) is to share this vision all over the world, transferring the spiritual teachings into daily existence. The Maitriyana or Buddhism of Future takes the reins of the events by extracting the compassionate wisdom (karuna-prajña) from each conflict and even by overcoming the worst moments of life such as the death of the loved ones. In the light of the inspiring practice of Buddhist Ecumenism, the profound teachings of the singular method of libertarian meditation (Kaihou Zen) lead to let go consumerism and the thirst for world dominion. The spiritual master affirms that even the catastrophes are opportunities for change and learning, so that the vision of the Free and Enlightened Being (Arhat-Bodhisattva) helps to transform any difficulty into a blessing. The Maitriyana or Buddhism of Future is a wonderful perspective that is firmly seated in all the contemplative pathways, reaching the radiance of Liberty through the Sublimation (Nirodh). Only this Spirituality can save the world from self-destruction.